The Boca Round Crossbody Bag is super cute and fun to make. 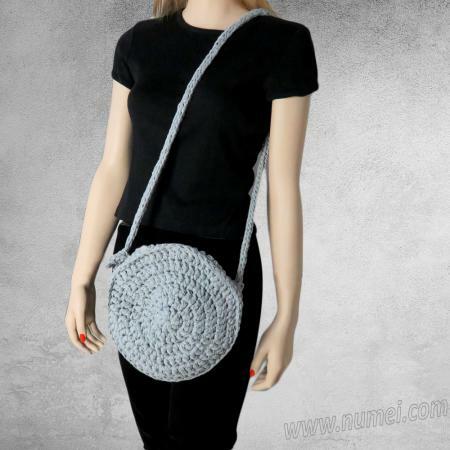 The body of the bag is crocheted and the strap is knitted. The bag makes a great gift for a girlfriend or loved one! Bag measures about 10.5" across. You may substitute with about 165 yards of superbulky weight yarn; Gauge: 10 st = 4".